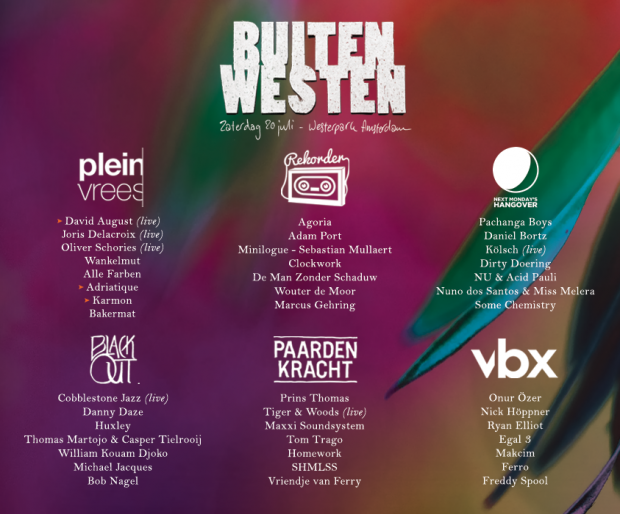 Boutique festival Buiten Westen has finally revealed the final three names of its line-up, completing the bill for its biggest stage hosted by Pleinvrees. The Amsterdam based deep house promoter has invited Diynamic stars David August, Adriatique and Karmon to its stage. With Joris Delacroix, Alle Farben, Wankelmut and more also to be seen and heard at the Pleinvrees stage, their fans will be very content.